EARs is a music collection managing tool. It is essentially, a daytimer / organizer for your cd's, and other avenues of music. EARs, helps to organize your listening time because you no longer have to search through a stack of cd's to pick something you like. EARs provides accurate album ratings with its exceptional rating engine called ART. EARs will rank music, rate albums, organize cd collections, and arrange music to be played in perfect flow and matching order. "...We make inefficient use of our music. We listen to only few of our favorite albums, and enjoy just part of our collections..."
EAR Cards inserted in CD's, shall "tune up" our ride with music, into a smooth enjoyable experience. How does EAR "measure" quality of music, and how does the rating system work..? How to Manage Music Collections with the EAR system...? Familiar with some of these problems? • Do you have a lot of music, and yet you sometimes don't know what to play?  Do you have old long time favorites stacked, and CD'S you don't listen to?  Are there any boring sections (on some of your albums)? • And how many times have you wondered where, which and what are those forgotten valuable tracks?  Don't you sometimes "waste your good mood" on disappointing tracks? 1 Purchase EAR cards (only $6.95 for 25 cards). The cards may look simple, yet they make up an outstanding powerfull system. The card (after being filled) provides an accurate insight and view at a glance, on the content of each album. It works great on all styles of music. 2 Listen to the music, and fill in the card as explained in Filling the EAR Card. 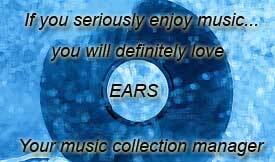 3 Enjoy your music experience as never before, following Managing Music Collections. it's not about playing the right tracks only, but rather playing the right albums, the right selections, and using your entire collection in a right dosage. Listen efficiently to your complete collection in fair rotation and also have it ranked rated and tagged correctly for years to come! Make sure you have fully understood the EAR Concept, and if necessary, read it again! What are the Practical Benefits of using EARS? EAR cards, as shown here, fit easily into any cd holder for you to reference when listening to your music. The special format double side coloured card displays the information that will arrange your cd, and your music collection, to be played in perfect flow and matching order. It also includes spaces to write: cd name, track name, and length of track, important rating information, your personal preferences, and essentially categorizing the music you listen to. The EAR card provides an accurate insight and a view at a glance , on the content of each album. All relevant information and processed data of an album is presented on a single card. The card is a simple tool in an outstanding powerful system!  Align your music collection according to your specific taste.  Make your current collection more efficient and useful.  Play and rate tracks you haven't listened to, and discover new music.  If you have trouble with organization, EARs will get you on the right track.  Save money on "professional" organizers and do it yourself with EARs. How does EAR "measure" music quality, and how does the rating system work? EARs – Essential Album Rating system utilizes a unique rating engine called ART. ART - Art is the combination of Accelerated Ranking, and measuring music over Time. 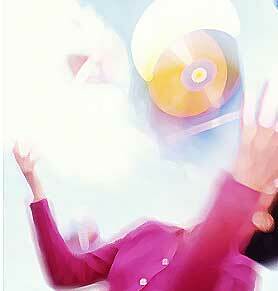 Accelerated ranking – Creation of good music requires some kind of talent, creativity, and lots of inspiration. Appreciating the better music over the average, our ranking system grants the higher ranked music a doubled rated figure over the lower ranked music. Since, for practical reasons we could not have double rated all ranks, some were increased disproportionately. We have therefore chosen to call it accelerated ranking. Over time – means that the EAR system breaks down music to small portions, ranks each one separately on a time basis, and then calculates the rating of each track. Thus, we appreciate quality over time. Identical ranking tracks, running over different lengths of time, will now each have their own deserved overall rating. The ART technique provides the music industry for the first time, a practical, accurate, and effective rating engine that works on all types and styles of music! We are making our first new steps with what we believe to be to The Best Music Management and Rating System available. We have established an interesting site, with a straightforward approach. This is our first attempt, so hopefully things will get better. include filled in cards from our fellow listeners. > A music managing and rating program, based on the EAR concept, to be installed on PC's, now in works! accurate an effective rating engine that works on all types and styles of music!! !